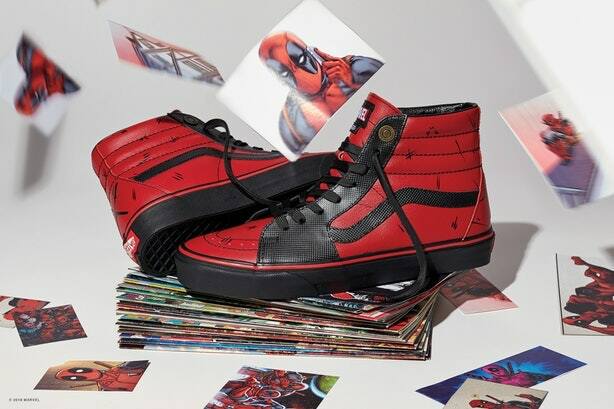 It was announced that Vans and Marvel were doing a Marvel Avengers collaboration for Vans’ shoes and apparel again. Back in 2013 the 2 companies came together to launch a bevy of footwear and accessories. 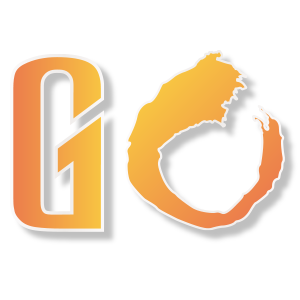 This time it’s a full line of t-shirts, backpacks, socks, hoodies, and various shoe/sneaker types. 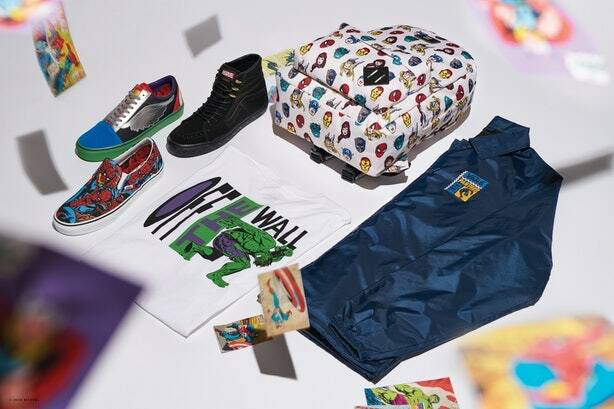 The “Off The Wall” collection is set to release on June 8th so don’t worry too much about not finding something you may like, because there will be plenty to choose from. You can sign up on the Vans site to be notified of details about the collection and of course when it launches. Details may include discount codes, which brick & mortar locations have which items, etc. 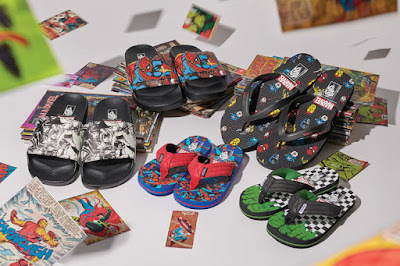 The collection is not inspired by the Marvel movies, but from the actual comic book pages themselves; although that won’t stop them from pushing more merchandise of certain heroes that are or will be in upcoming films more than so than others. Heroes that will be part of the collection so far are: Iron Man, Captain America, Thor, Black Panther, Deadpool, Captain Marvel, Spider-Man, The Incredible Hulk, Black Widow, She-Hulk, and The Inhumans. 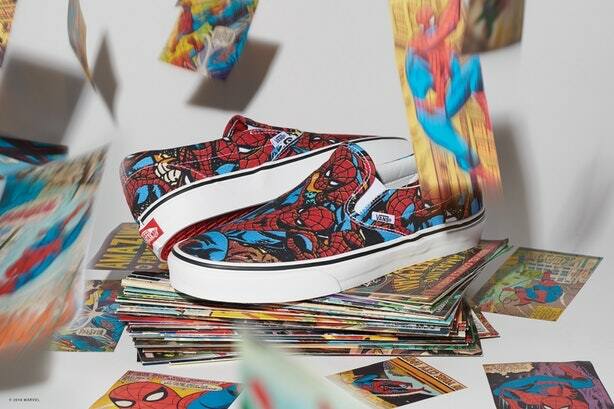 How each hero will be represented in the Vans line will is to be determined. 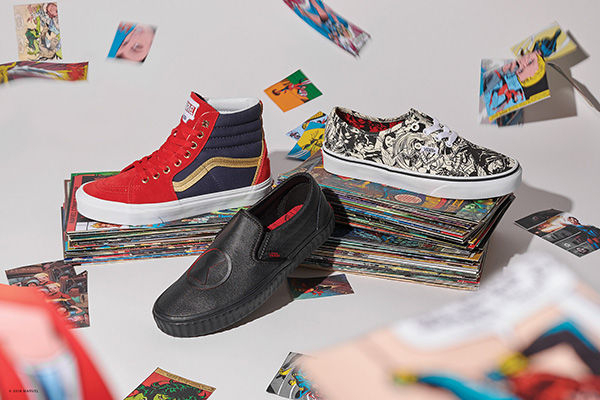 Footwear includes Vans Old Skool, Vans Sk8-Hi and a Vans Slip-Ons. 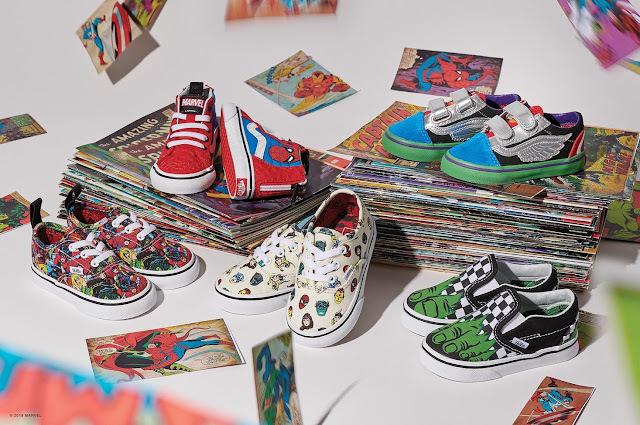 Additionally, Vans Customs will offer three exclusive Vans x Marvel designs that fans can use to create their own custom look much like Converse does with their DC Comics line of shoes.